Little Sausage is 4 month old male Pug cross. This little cherub is approx 4 months old. He is very small size and looks like a fat little Pug cross Dachshund. He is very very sweet and totally adorable. 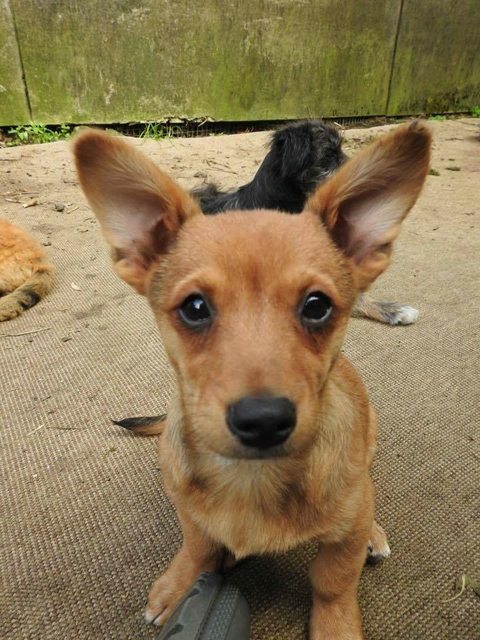 He is confident little chap who loves to play, loves his toys, loves his food and gets on great with other dogs. We believe he will not get much bigger than 5kgs (if that !!!) I defy anyone not to meet this puppy and not fall head over heels in love.